MKC provided posters to member companies for employee bulletin boards. 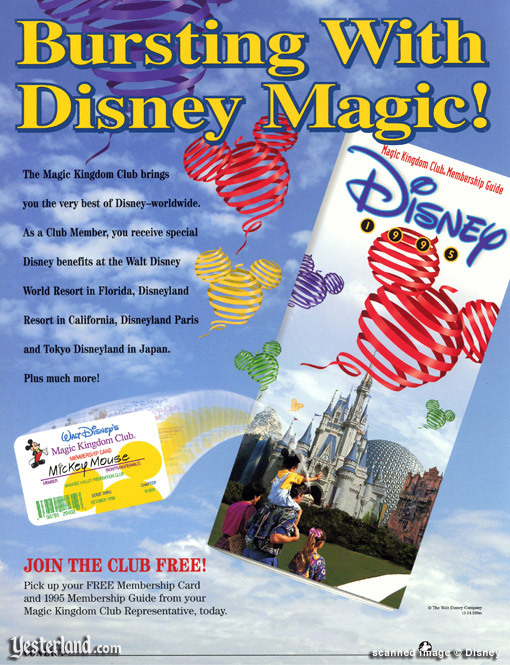 Walt Disney’s Magic Kingdom Club (MKC) was created in 1957 as a unique marketing vehicle for the new Park. The Club offered discounted and special-value ticket media to the employees of large companies, industry and military throughout Southern California. It was an immediate win-win formula: MKC provided a free employee benefit while the participating organizations promoted Disneyland by distributing membership cards and materials. In many ways, MKC was the forerunner of today’s airline and hotel loyalty membership programs by instilling the sense of a special beneficial relationship. (the bottom Application for Membership stub is missing). With the opening of Walt Disney World in 1971, Disney rolled out the program nationwide and it expanded dramatically, both in terms of size and scope to include benefits like vacation packages, group travel, and discounts with preferred providers such as the Disney Stores and catalog, airlines, cruise lines, rental cars and hotels. At its peak, MKC had over 30,000 member companies with six million card-carrying members making it undisputedly the largest employee leisure benefit program in the country. 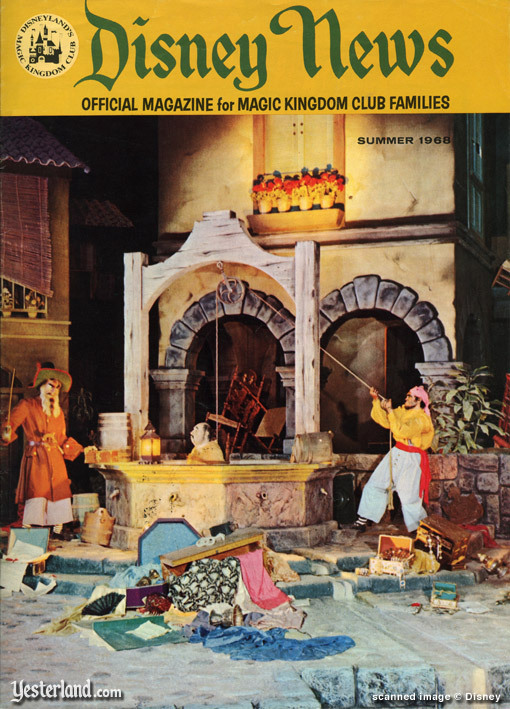 MKC published and distributed millions of pieces of literature each year, including an annual membership guide, color posters and the quarterly Disney News Magazine (later named The Disney Magazine). 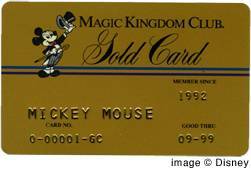 In the 1980’s, spinoff programs were created including the MKC Gold Card, which provided membership for a fee to those who didn’t work for a participating company, and the Magic Years Club for seniors. The MKC Gold Card required a fee, so it was fancier. 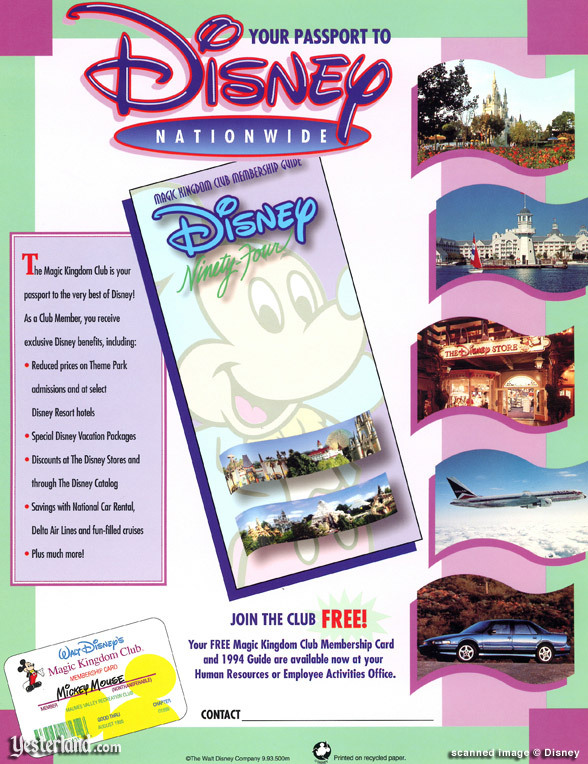 MKC also managed other membership programs, including Disney’s Executive Club for business entertainment at Disneyland and Walt Disney World, the Disneyland Alumni Club and the Disneyland Annual Passports. With the opening of Tokyo Disneyland, MKC was exported to Japan, and later to Europe when Disneyland Paris opened. Over the years, MKC was frequently a test bed for new concepts, including passport tickets, annual passes, and all-inclusive vacation packages. 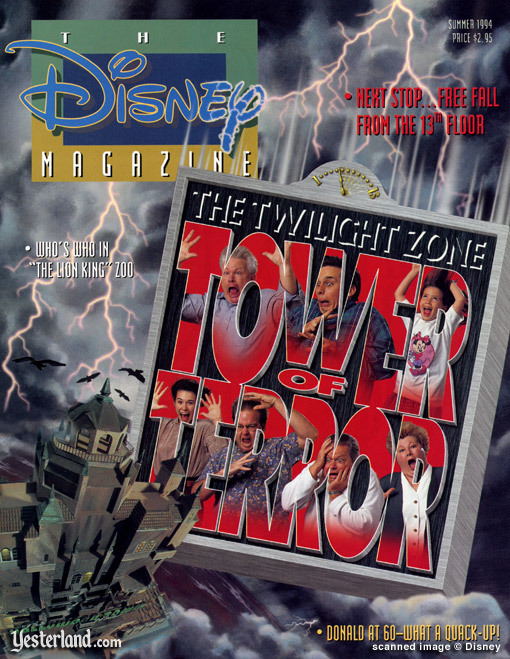 MKC was eliminated in 2000 to be replaced by the fee-based Disney Club, which itself was disbanded a couple of years later. Bob Baldwin spent almost 30 years with The Walt Disney Company in a variety of marketing, sales and operating positions including Worldwide Director of the Magic Kingdom Club and Director of Sales and Creative Services at Disneyland. 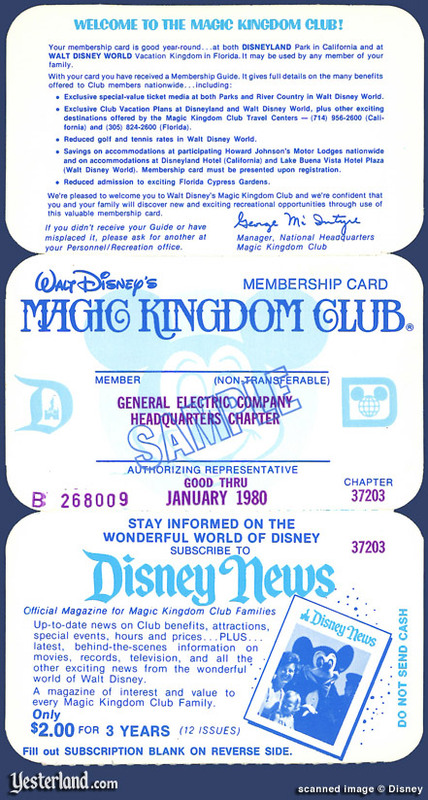 He ran the Magic Kingdom Club from 1978 to 1994, and was also the publisher of Disney News. Bob spent a substantial amount of time in Europe and Japan while the Company was building and opening Disneyland Paris and Tokyo Disneyland. After his Disney career, Bob joined a start-up interactive entertainment software company providing inflight entertainment programs for the airline industry. Since 2000, he’s been doing marketing, sales and membership consulting with Management Resources and ProFun Management Group. 1991 Membership Guide and 1968 Disney News from the collection of Werner Weiss. All other images from the collection of Bob Baldwin.